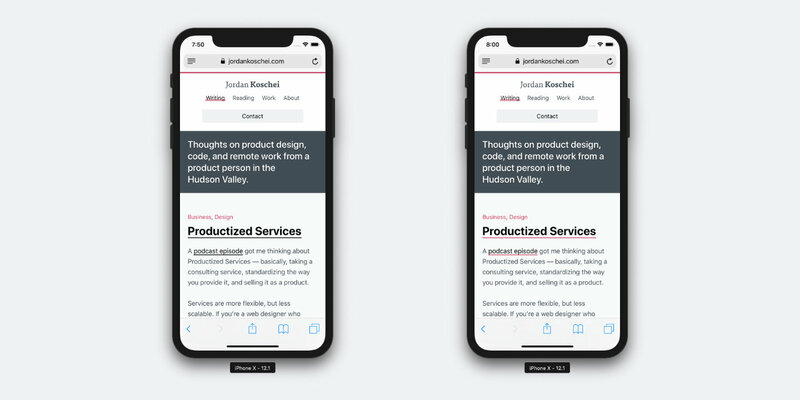 Right after launching the latest update to this website, I caught a mysterious visual glitch — link underlines, which are supposed to be pink in most places, were showing up black in Mobile Safari. On the left, links in the content are underlined black. On the right, they're underlined properly with transparent pink. Nav links in the header are unaffected because those underlines are pseudo-elements with transparent backgrounds, and don't use box-shadows at all. This works fine on Chrome, Safari, and Firefox, but on Mobile Safari it shows as straight black. Some background: I recently added the ability to change the accent color on specific pages of the site. On different case studies, for example, the accent color changes to match the brand of the project being discussed. I do this by setting a variable in the front-matter of each piece of content, with the default set to the site’s brand color in config.yml. I turn this into a CSS variable in the <head> of each page. Some quick sleuthing shows that I’m not the first person to run into this issue — there’s a question on Stack Overflow describing the exact same thing. Sure enough, this works! Now the box-shadows render properly on Mobile Safari as well as elsewhere. It’s not as elegant as my first implementation, but hey, that’s front-end development. If it works, it works. 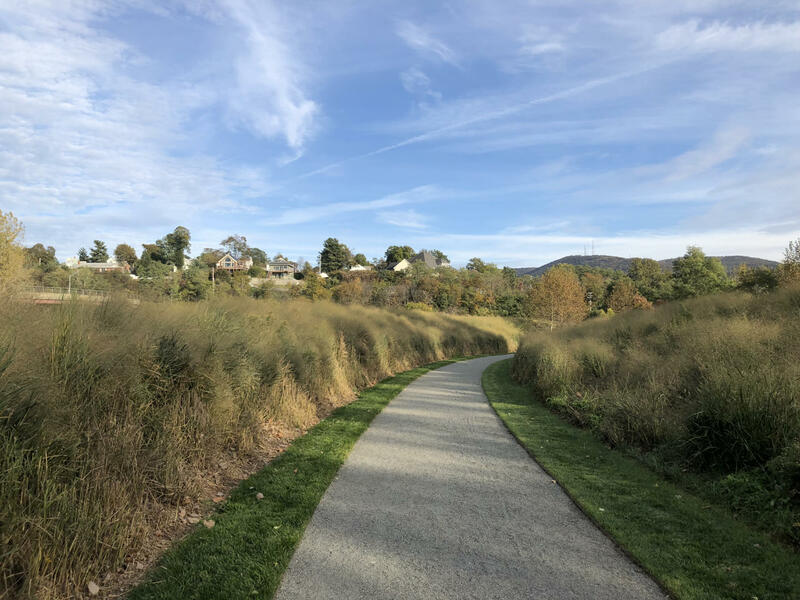 A podcast episode got me thinking about Productized Services — basically, taking a consulting service, standardizing the way you provide it, and selling it as a product. Services are more flexible, but less scalable. If you’re a web designer who builds WordPress sites for clients, there are only so many projects you can take in a year, but those projects can be as custom as your clients need. You can charge more, because it’s your time and your expertise that are being sold, and those aren’t fungible. Products are more scalable but less flexible. Instead of building custom WordPress sites, maybe you offer website setup and maintenance, with a starting fee to establish a website and perform minor tweaks on a WordPress theme, and a monthly maintenance cost. You charge less because there isn’t as much room for customization — you’re charging for the website itself, not your time and expertise creating it. However, you can sell more, because your process is systemized and can be performed more quickly, and you can train others to follow your procedures and help you. It isn’t usually this cut-and-dried, and I sure hope you aren’t building WordPress sites for clients in 2019 unless your services are reallllly niche or special (we have SquareSpace now). But I think this is a good example for how productized services differ from regular services. 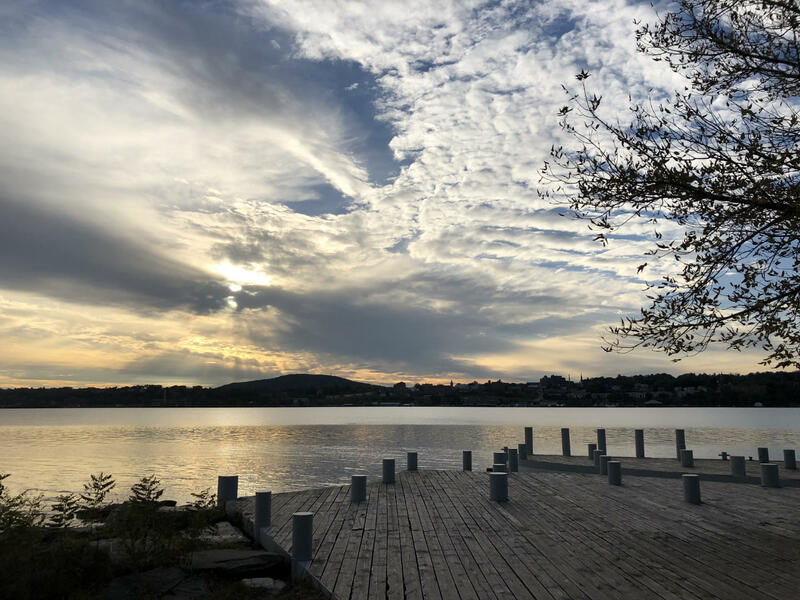 I had several conversations at CatskillsConf about the present and future of the Hudson Valley tech scene, and several of the ideas I heard dovetailed nicely with my own thinking about this subject. I’m cataloguing these here for posterity and comment. Some of these are my own ideas, some of them come from conversations with others, but all of them owe a debt to the spirit of cautious optimism that’s been in the air lately. Read these, think about them, make suggestions. Better yet, pick an idea you particularly like and take action. 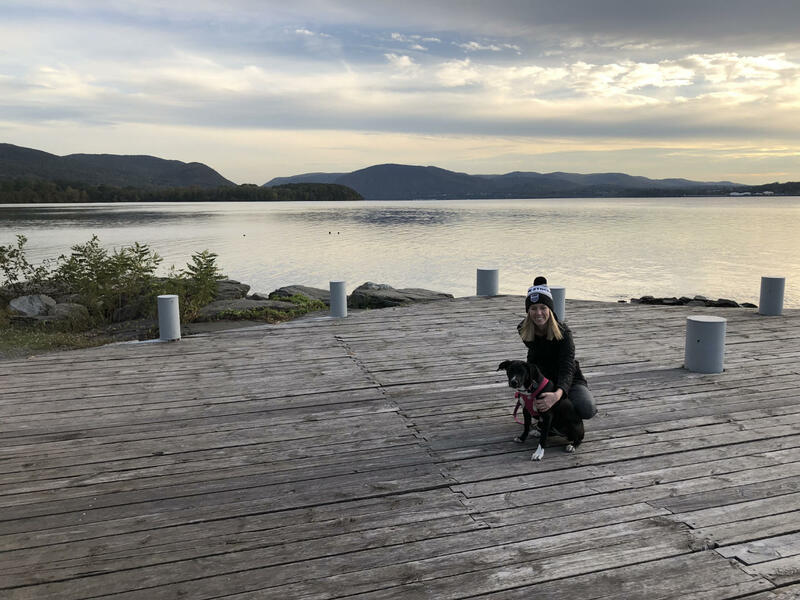 We took the dog to Long Dock Park in Beacon yesterday. The weather was perfect (a far cry from today’s freezing deluge), so here are a handful of photos to commemorate the sunshine. Long Dock Park, or Riven? We got the dog to look at the camera! The sun setting over Newburgh, looking towards New Windsor. I’m getting tired of that cutesy, flat-shaded, CalArts-style aesthetic that so many apps seem to have adopted. 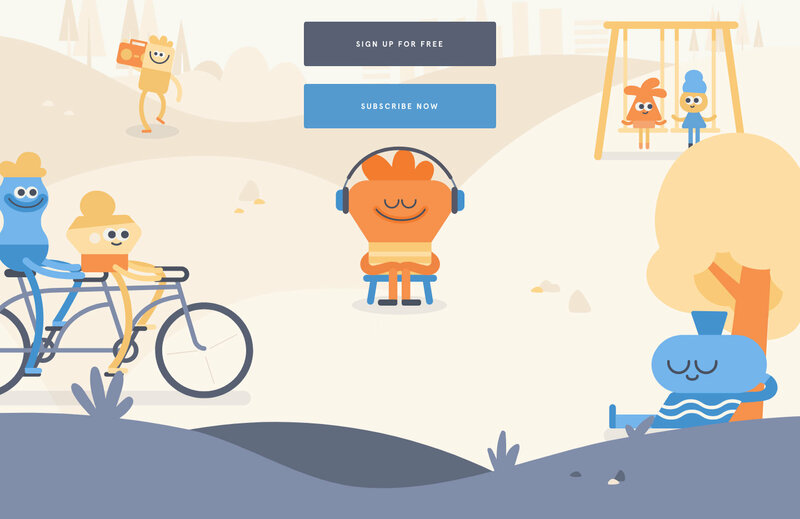 This is the homepage for Headspace, a meditation app designed for adult humans. 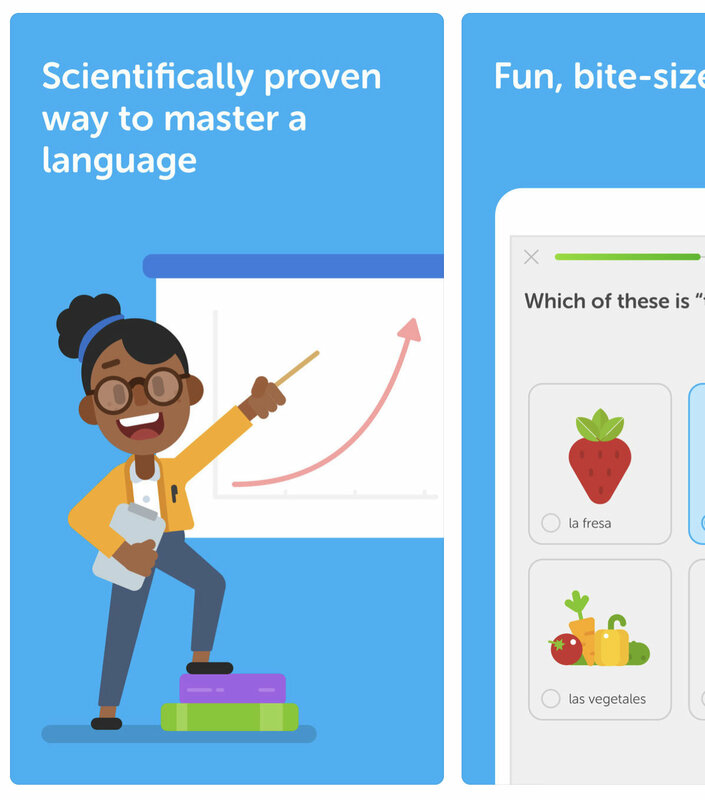 Duolingo is a great app. This character looks like it came from a startup promo video with ukelele music in the background. These feel just a few steps removed from Clippy to me. Am I just getting cranky in my old age, or are there a lot of apps that infantilize their users, as if we wouldn’t be interested in a product if it didn’t look like it was designed for toddlers? Hello, CatskillsConf! This is the written version of my talk, given on October 20, 2018 at 4:00pm. There might be some slight differences between the written version and the spoken verison. All images are from Unsplash, except for the Hudson Valley image, which I took myself from the top of the tower at Mohonk.